NEW! 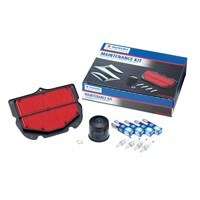 OEM Suzuki Service Kits! 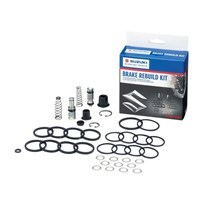 Get all the parts you need in a complete Suzuki Service Kit and save money over buying individual parts for the same job. These kits are packaged with all the necessary OEM parts to rebuild your Suzuki Motorcycle are ideal for the used Suzuki you just purchased or the Suzuki in garage that you want to get back on the road. 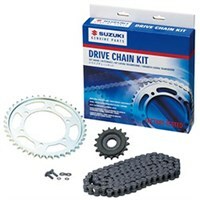 The Suzuki Genuine Drive Chain Kits are packaged with all the necessary OEM parts to replace your front sprocket, rear sprocket, and chain. 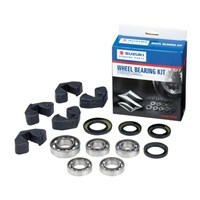 These kits include same high quality sprockets and chain that your bike was built with. 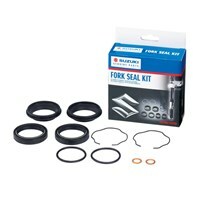 The Suzuki Genuine Fork Seal Kits are packaged with all the necessary OEM parts to freshen up your Suzuki. These kits are include all the high quality OEM parts that your bike was built with, so you can feel confident in about the work you've done. 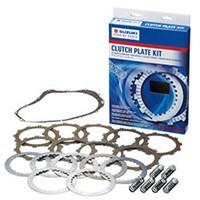 The Suzuki Genuine Clutch Kits are packaged with all the same high quality OEM clutch plates, springs, and gaskets that your bike was built with. 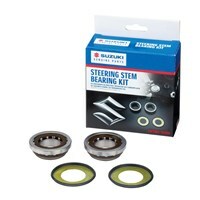 Maintain precise clutch feel and operation with genuine parts! The Suzuki Genuine Maintenance Kits are packaged with all the high quality OEM parts to do a full tune-up on your Suzuki. These kits are ideal for the used Suzuki you just purchased or the Suzuki in garage that you want to get back on the road. The Suzuki Genuine Brake Rebuild Kits are packaged with all the necessary OEM parts to rebuild your Suzuki Motorcycle brakes. These Brake Rebuild Kits, Clutch Kits and Drive Chain Kits include all the high quality OEM parts that your bike was built with, so you can feel confident in about the work you've done.